The staff at the University Counseling Center believe in the dignity and individual self worth of each person. To that end we respect, nurture and honor diversity in all those we work with and serve. Quinton ‘Bud’ Edwards, Jr. is the Director of the Counseling Center. Bud is originally from Mississippi and came back home to give back to the university, Oxford, and the state. His desire is that the campus community will join us as we continue to build a nationally recognized University Counseling Center that benefits the campus and the state. He earned a Master’s Degree and a Ph.D. in counseling psychology from the University of Missouri at Columbia and completed his internship at the University of Iowa’s Counseling Services. He worked mostly in university counseling centers but has spent some time working in an inpatient treatment hospital, in mental health centers, and in private practice. His experience and expertise includes working with students with anxiety, depression, developmental issues, and trauma. Sue is an Assistant Director of the Counseling Center in charge of Training. She hopes to build a nationally accredited training site within the Center that will provide the highest preparation standards for new professional clinicians. Sue received her Ph.D.in Counseling Psychology from the University of Kentucky and completed her internship at Ball State University’s Counseling Center. She has worked in university counseling center settings, private practice, and also in academia. She is experienced in working with a wide range of issues and has special interests in the areas of disordered eating, trauma, and LGBTQIA+. She comes most recently from the state of Maine, and was very glad to sell her snow blower for her move to Mississippi. Sue enjoys time with her friends, family, dogs, and in creative pursuits. Juawice is a Licensed Professional Counselor and a Board-Qualified Supervisor (LPC-S). She provides counseling services for Ole Miss Faculty & Staff. Juawice has over 25 years of experience as a counselor, practicing in the community and school settings and as a Counselor Educator. She is past Chair and a former member of the Mississippi Board of Examiners for Licensed Professional Counselors. Juawice was trained as a professional counselor at Mississippi State University, earning both a Ph.D. in Counselor Education & Supervision and a Master’s degree in Rehabilitation Counseling. She is a National Certified Counselor (NCC), a National Certified School Counselor (NCSC) and a Board-Certified Telemental Health Provider (BC-TMH). She is interested in workplace mental health and family & career issues. She is also involved in the Miss. Counseling Association, is a member of the Miss. Licensed Professional Counselor Assn., the American Counseling Association, the Association for Counselor Education & Supervision and the Southern Association for Counselor Education & Supervision. Juawice enjoys spending time with her husband James, their grown children Hannah and Cullom, and son-in-law Ryan. Her favorite pastime is baking for them and her UCC family. Mike is a Licensed Psychologist who has been working at the University Counseling Center since 2016. He received his Ph.D. in Clinical Psychology from the University of Mississippi. He completed his pre-doctoral internship at the Center for Multicultural Training in Psychology in Boston and his postdoctoral fellowship at the Student Counseling Center of the University of Central Oklahoma. He is a generalist and has worked with people of various ages with a wide range of concerns. Being a native of North Carolina and having completed his undergraduate degree at the University of North Carolina at Chapel Hill, Mike is a huge Tar Heel fan. He enjoys spending time with his family, traveling, playing and watching soccer, and cooking. Daniel (pronouns: he, his, him) is a Licensed Clinical Psychologist at the University Counseling Center. He received his Ph.D. in Counseling Psychology from the University of Southern Mississippi and completed his pre-doctoral internship at the University of Memphis Counseling Center. Daniel was trained primarily as a generalist, and has experience with a wide variety of presenting client concerns. Daniel especially enjoys working with LGBTQ+ and multicultural issues. He has experience working with college students of various sexual orientations, gender identities, race/ethnicities, and student-veterans. He is a native Oklahoman and alumnus of Oklahoma State University, and loves his OSU Cowboys! For self-care Daniel enjoys spending time with his partner Robby and their dog Sybil, crafting, video games, and watching Oklahoma State football (Go Pokes!). 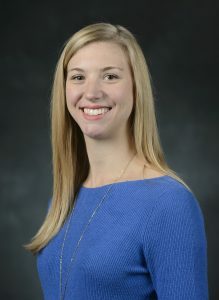 Katie is a Licensed Professional Counselor-Supervisor (LPC-S) at the University Counseling Center as well as the coordinator of outreach services for the UCC. 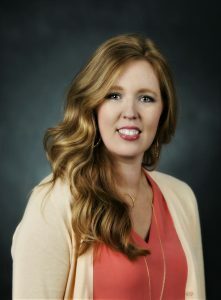 She is a two time alumna of The University of Mississippi receiving her Bachelor’s degree in Psychology in 2005 and her Master’s of Education in Counseling in 2007. She completed internships at the U of M’s Academic Support Center, NMRC, and in an inpatient AIOP treatment setting. Prior to joining her alma mater, Katie practiced in community mental health as well as private practice. She has experience in working with a variety of developmental stages and is passionate about being able to help students navigate life during their time at the university. Katie has a passion for working with issues affecting women, graduate level students, and trauma survivors. She is a National Certified Counselor (NCC) and is trained in EMDR psychotherapy. She enjoys dancing, watching Ole Miss sports, and spending time with friends and family. Mary Ward received her Ph.D. in Clinical Psychology and is a licensed Clinical Psychologist. She has developed a passion for supporting mental health in Mississippi and has always considered Oxford to be like home. She earned her Master’s and Doctoral degrees from Mississippi State University and completed her pre-doctoral internship at Mississippi State Hospital. Having completed her undergraduate degree at the University of Mississippi though, Mary Ward has always been an Ole Miss Rebel and is excited to be back home. She is a generalist who has worked with a diverse array of individuals and concerns, and has developed a particular interest in working with individuals who have experienced trauma. Mary Ward enjoys spending time with her husband and their many pets, being with family and friends, fly fishing, and watching Ole Miss football. Caelyn is a Licensed Clinical Social Worker (LCSW) at the University Counseling Center. She earned her Master of Social Work degree from the University of Michigan and her Bachelor of Arts degree in Social Work from Michigan State University. Caelyn has experience working with individuals and groups at a variety of developmental stages. Specifically, she has worked in schools and mental health agencies. Prior experience and current interest areas include working with and supporting individuals with anxiety, depression, and trauma. She enjoys watching Michigan State football, traveling, and visiting family and friends. After moving from Michigan, Caelyn enjoys exploring her new home in Mississippi. Laura is an LPC at the University Counseling Center. She received her M.Ed. at Ole Miss in 2013. Prior to joining the UCC staff, Laura worked in community mental health settings as a treatment court grant program coordinator and a crisis center director. Laura’s experience and interests in the field include co-occurring mental illness and substance use disorders, legal aspects of mental health (treatment courts, recidivism reduction in individuals with substance use disorders, and involuntary psychiatric commitment), and serious mental illness (SMI). Laura is a nationally certified counselor (NCC) and formally trained in Trauma Focused Cognitive Behavioral Therapy (TF-CBT), Moral Reconation Therapy, and SMART Recovery. Laura enjoys watching the Yankees play baseball, papercraft/letter-writing, spending time with friends and family, and walking her dog. Renea is the Operations Supervisor of the University Counseling Center. She joined The University of Mississippi in 2014 and the University Counseling Center in 2016. She received her AA Degree in Business Administration from Mississippi Delta Community College. She also attended Delta State University. Renea manages all departmental budgets, supervises all administrative and support staff, coordinates patient flow within the office, and keeps all things in order and running smoothly. Renea assists in writing Policies and Procedures for the department and also serves on numerous committees throughout the university community. Renea enjoys spending time with family, traveling, and attending sporting events. Gail is the Secretary at the Counseling Center. She provides informational and clerical assistance to students and employees who are seeking psychological services. She aids in scheduling appointments, providing correspondence for students and parents, and providing guidance to student workers. Gail is a transplant to Mississippi by way of Maryland, but lived in Virginia for over 15 years. She now lives in Oxford with her husband, Michael, who works in Athletics. They have three adult children, Marie, Tyler and Caroline. Her hobbies include reading, genealogy research, and community theater.